This is jazz with a rock attitude but with jazz rhythms and harmonics. The compositions and sound are angular, raw, unpolished, direct, full of drive and intensity. The compositions are full of rhythmic and harmonic changes, with subtle and great improvisations. 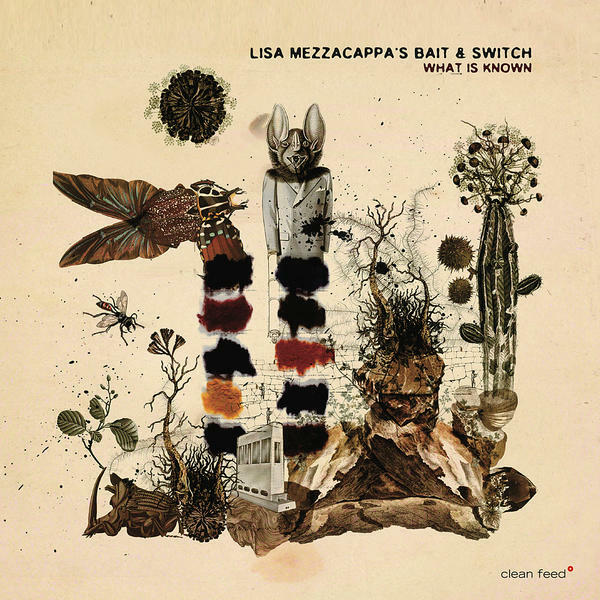 Bassist Lisa Mezzacappa explains that she's been playing long enough as a sideman, and that it was time for her to bring her own thing. And she does. As said, the musical vision she creates is entirely her own, with lots of rhythmic delights and raw energy, with long unison phrases between guitar and sax, with fun elements and lots of room for improvisations. Second, she selects a band of musicians who prove to be a perfect fit. John Finkbeiner's guitar sound and Aaron Bennett's tenor are each other's equivalent. Finkbeiner's guitar is slightly distorted, with no reverb and no sustain, resulting in the kind of in-your-face dry sound, which resides between assertive and aggressive. Bennett's tenor is harsh and rough. Yet both can use nuance and emotional sensitivity when needed. The rhythm section is Mezzacappa on bass, of course, and Vijay Anderson on drums. They add the solid rhythmic backbone and often provide the most subtle aspects of the music.To Mezzacappa's credit, apart from Steve McCall's "I'll Be Right Here Waiting", which is a short solo bass piece, her main project is to develop the music rather than to demonstrate her skills on her instrument. The music is influenced by the free jazz and AACM jazz, but also Captain Beefheart's "Lick My Decals Off, Baby" figures on the album. Although all that does not mean very much. This is Mezzacappa's own music, with a sound and approach that are quite specific. This is really great stuff, authentic and highly enjoyable from beginning to end.